The SecPoint Cloud Penetrator allows you to scan your website or any website that has a public IP address for vulnerabilities. Best Software as a Service (SaaS) Cloud Vulnerability Scanner Cyber Security automatic solution. Do you know if your Website is secure? Has your website already been hacked? With the Cloud Penetrator Software as a Service(SaaS) you can easily find Vulnerabilities in real time on your Website or any other computer exposed on a public IP. Easily scan for more than 60,000 vulnerabilities and with 10 scanning profiles. It will scan automatically on a daily basis and inform you when new vulnerabilities are found. With the Cloud Penetrator you can be safe and focus on your real business. The reporting is available in professional PDF, HTML & XML format. Cloud Penetrator gives best online vulnerability scanning. It scans for Cross Site Scripting (XSS), SQL Injection, Command Execution, Firewall Vulnerabilities. The scanning profiles allows to scan for OWASP, Sans Top 10, Full Scans, Web Scans, Extended Scanning, Aggressive Scanning. Easy user friendly interface with false positive management. Setup scheduling for automated scanning and be notified by email when new vulnerabilities are discovered. Live Chat support for help with reports. Made in Denmark - Secure Design - Your data not given to third party. Advanced CMS vulnerability detection crawler. Automatic Crawler for Cross Site Scripting (XSS) attacks. SQLi, LFI, RFI & CSRF. Scan any Router or Firewall. Black list checks see if your site has been blacklisted and where. Advanced fast crawler to discover unknown vulnerabilities on a site. 9 Scanning Profiles for compliance. Setup automatic scans and get notified by email with results. Optimize vulnerability patching with Ticket System. Scan pre production systems with aggressive profile and DoS. Best Live Chat support 24/7. Cost effective low cost single scan or unlimited scans of specific IPs. Different reporting format supported for technical, consultants or management. Cloud Penetrator Scans for SQL Injection, XSS Cross Site Scripting XSS , SQLi , LFI, RFI and CSRF. High Power 64 Bit Platform for maximum Performance capability. 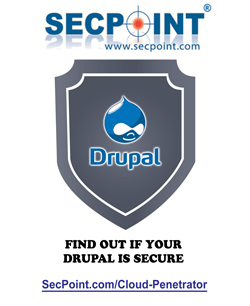 Discover vulnerabilities in popular CMS systems such as Drupal, Joomla, Magento, Unbraco, Shopify, Wordpress. Discover vulnerable systems such as Firewalls, Mail Servers, Web Servers and other devices connected online. Reports available in multiple formats PDF, HTML, XML. for Technical, Management and consulting. Scan for vulnerability Memcached servers that are being exploited in DDoS attacks. Block remote Hackers, Blackhat crackers to hack your site servers and taking of touchy data! Best Web Site Security Scanner for Google Hacking. Cloud Penetrator Cloud scanner Vulnerability Scanning. With Cloud Penetrator find vulnerabilities by scanning your Web Site, Web Shop or any site you have with a Public IP address. You do not need any software and you can instantly get an account on the Cloud Penetrator. You simply login and start the scans via a user friendly interface. You can schedule the scans to automatically scan and notify you when new security risks are identified. It scans for more than 55.000+ remote vulnerabilities including web crawler, Information Disclosure, Command Execution, File inclusion vulnerabilities and much more. 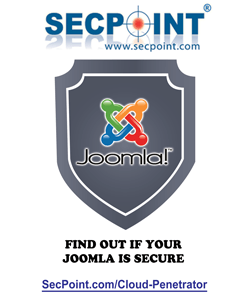 Get the best Web Vulnerability Scanning and find the vulnerabilities in your website. It also has the ability to audit hardware devices with TCP/IP addresses. Both local and external IP addresses can be audited from wherever you are. The Penetrator is capable of finding Website Errors on any page found in the worldwide web via its automatic crawl engine. When have you last patched it or checked for vulnerabilities? It can be a big task to keeping track of all new security vulnerabilities. More than 500 new Security Vulnerabilities are being found on a monthly basis. When dealing with in-the-cloud security, it's best that you depend on the expertise of proven security expert SecPoint to help protect your virtual programs. These applications you can access via your browser (as long as you have an Internet connection) has their own built-in security measures (in the form of permissions and whatnot), but you can never be too safe. Typical cloud-based programs and online solutions range from word processor documents used to track down work, to entire in-the-cloud networks. These can usually ward off suspicious third-parties from viewing "for your eyes only" confidential information of a given corporation or government agency using "permissions" (certain people are only allowed to access a link, while others can view it but cannot edit it). However, hackers should not be underestimated when it comes to finding code flaws and vulnerabilities in these cloud systems. This is the reason why you should avail of your own SecPoint Cloud Penetrator to scan for in-the-cloud vulnerabilities and help safeguard your important documents in a platform that's meant to be easily accessed by everyone anyway. You have every right to be suspicious with regards to the safety of cloud computing. In fact, security concerns are just some of the major issues that kept the new computing platform from making immediate waves when it was first introduced. Fears were eventually allayed and more companies started adopting their own cloud solutions because of its low cost. Nevertheless, the SecPoint Cloud Penetrator is different from other Penetrator contemporaries because there is only a software version of it, and it's only available online. That's right; the best way to protect cloud software is with cloud software as well. The Cloud Penetrator will help you scan everything via the dedicated and reliable servers of SecPoint so that you can assess which vulnerabilities require extra protection and which ones are most critical. The online web vulnerability scanning capabilities of the SecPoint Cloud Penetrator will allow you to examine your website or any website that has a public IP address. Even if you have a WordPress-enabled blog, a video hosting site, a company site promoting your wares, or an e-commerce web shop that has a virtual shopping cart and everything, you can depend on the online vulnerability scanning solutions of the Cloud Penetrator. It's particularly adept at dealing with SQL Injection Cross Site Scripting among other possible exploitative means for hackers to gain access to your most sensitive information. Furthermore, the Cloud Penetrator has a user-friendly interface, such that you'll be able to manage it as easily as updating your social media accounts. You don't have to update it manually either because it's available online. When you buy an account you get a login to the online Penetrator. Here you can scan your IP addresses. Find out how you can use Cloud Penetrator to do web vulnerability scanning easily. With the Online Penetrator you can scan your IP addresses both Local and External for Web, and Full Host vulnerabilities. Once it has scanned an IP Address it will give you a PDF report that comes with an Executive Summary that will brief explain if the IP address is vulnerable or not. It shows the vulnerabilities by High Risk, Medium Risk, Low Risk. Where a High Risk vulnerability allows an attacker to fully penetrate the system, a Medium Risk will allow the attacker to get half way and typically by spending more time can gain full system access and a Low Risk Vulnerability can be different types of Information Disclosure that can allow an attacker to prepare for bigger attacks. The Report will have a recommended solution for each found vulnerability so you can easily fix the found vulnerabilities. Further more in the second part of the PDF is the Full Technical output. Here it will show how it did the attacks and output from the attacks so you can reproduce it. Many reports can be customized and made available as XML, PDF, or HTML files. System vulnerabilities are categorized as either high medium or low risk, together with name and details of each security hole and its respective fix or patch. The report also provides a complete analysis on the overall security level of the audited system. A Summary is compiled specifically for management level review, which features both text and graphical details from the audit results. Another Benefit is that you can setup the Schedule Scanning so it will scan your IP addresses automatically for vulnerabilities for example every week or every month, or even every x days starting on date y. Via the Statistics module you can then compare from Week to Week or Month to Month and see how your security level is going up or down. This standalone vulnerability assessment and vulnerability scanning auditor has an unlimited range of auditing power; that is, it can audit from just one IP address to an endless amount of IP addresses. This is made possible by its distributed system of auditing, which allows users to customize their appliances' auditor capabilities to their exact requirements and specifications. This ensures users the strongest possible IT security protection by giving them the newest records and lists of code flaws and vulnerabilities during the audit of their network. This application combines the strength of a vast and comprehensive database of vulnerabilities from the SecPoint website and the flexibility of traditional software scanners and auditors. Furthermore, it is compatible with nearly all available operating systems. "I got the Penetrator vulnerability scanner and discovered several vulnerabilities on my servers that I was not aware of! Clear recommendations how to fix it." If ever an attacker successfully performs an SQL injection exploit against your site, it will allow them to manipulate queries of the underlying SQL server and lead the whole website into oblivion. To wit, launching a site that's vulnerable to such security holes is equivalent to handing the hacker administrative privileges to your webpage. It's just that easy to crack. Check your destinations that have question string qualities (e.g., hunt down URLs with "form=", "id=", thus on in the URL). Send a solicitation to your destinations recognized as dynamic with a modified id= articulation that adds an additional quote to endeavor to drop the SQL proclamation (e.g., id=6'). Parse the reaction sent back to search for words like "SQL" and "inquiry" - which commonly show that the APP is frequently sending back point by point mistake messages (a terrible sign). This will keep somebody from attempting to sneak in extra SQL expressions (since the ADO.NET above knows how to string encode the AU_id esteem), and evade other information issues (erroneously pigeonholing qualities and so forth). Note that the TableAdapter/DataSet fashioner incorporated with the VS 2005 uses this component naturally, as do the ASP.NET 2.0 information source controls. One regular confusion is that on the off chance that you are utilizing SPROCs or an ORM, you are totally sheltered from SQL infusion assaults. This isn't genuine regardless you have to be watchful when you pass qualities to a SPROC. what's more, or when you escape or modify an inquiry with an ORM, you ought to do it in a protected manner. Continuously lead a security audit of your application before placing it underway. Moreover, you ought to likewise build up a formal security procedure to audit the entire code at whatever time you make overhauls. This later point is super imperative. Over and over again, I know about groups that lead a truly definite security audit before going live, then have some "truly minor" overhaul they make to the site weeks/months after the fact where they skip doing a security survey ("It's only a little upgrade we'll code audit it later"). However much as could reasonably be expected, dependably do a security survey or twofold check just to be erring on the side of caution. Never store touchy information in clear-message inside of a database. My own assessment is that passwords ought to dependably be one-way hashed (I don't even like to store them scrambled). The ASP.NET 2.0 Membership API does this for you naturally and of course (it additionally actualizes secure SALT randomization conduct). On the off chance that you choose to fabricate your own particular participation database store, I'd prescribe looking at the source code for our own enrollment supplier execution that we distributed here. Besides, you ought to make a point to scramble Mastercard numbers and other private information in your database. Regardless of the possibility that your database is traded off, in any event your client's private information can't be misused. Make a point to compose mechanization unit tests that particularly confirm your information access layer and application against SQL infusion assaults. This is extraordinary for shielding against the "It's only a minor redesign, so I'll be safe!" situation, and it even gives an extra security layer that keeps you from coincidentally bringing a terrible security bug into your application. Secure your database to allow the web application getting to it the negligible arrangement of consents that it needs to capacity. On the off chance that the web application needn't bother with access to specific tables, then verify it doesn't have consents to them. If it is producing read-just reports from your record payables table, then verify you debilitate addition/overhaul/erase access.